Nickel is another transition metal with chemical symbol Ni and atomic number 28. 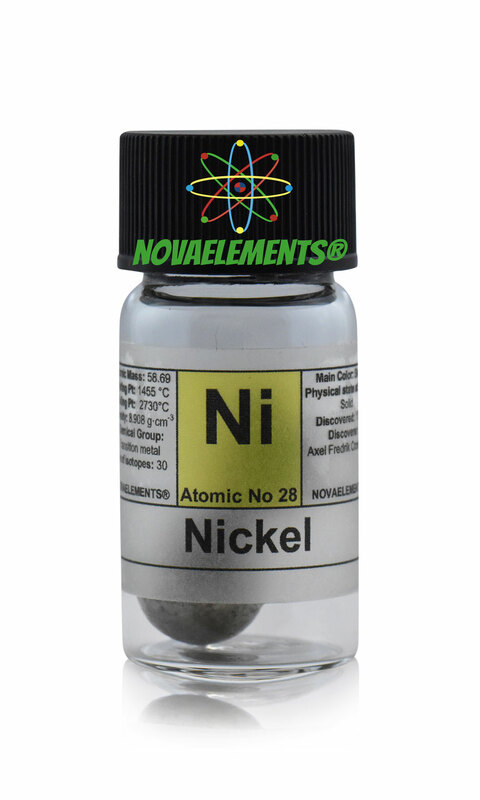 Nickel is a solid and silvery white metal at normal pressure and temperature, it oxidizes in the air making a grey film of oxide, but is also easy to clean its surface with a diluted acid. 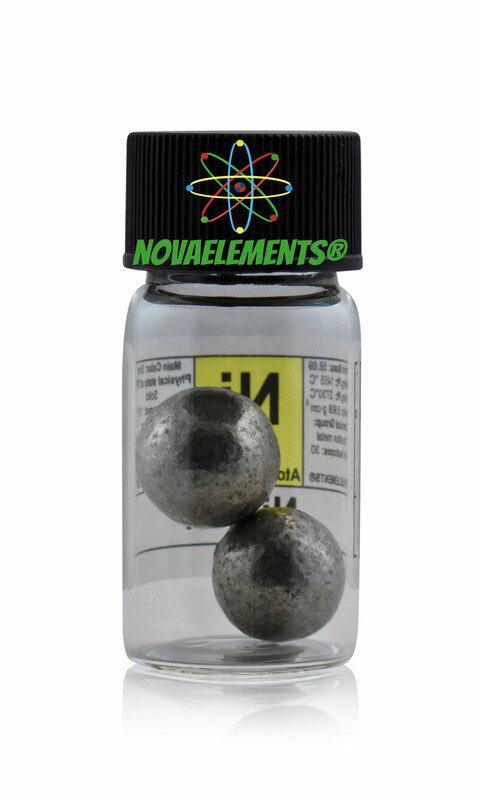 High purity Nickel metal spheres, element 28 sample, more than 10 grams in glass vial. 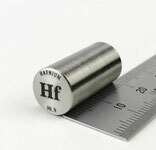 Pure nickel metal sample. 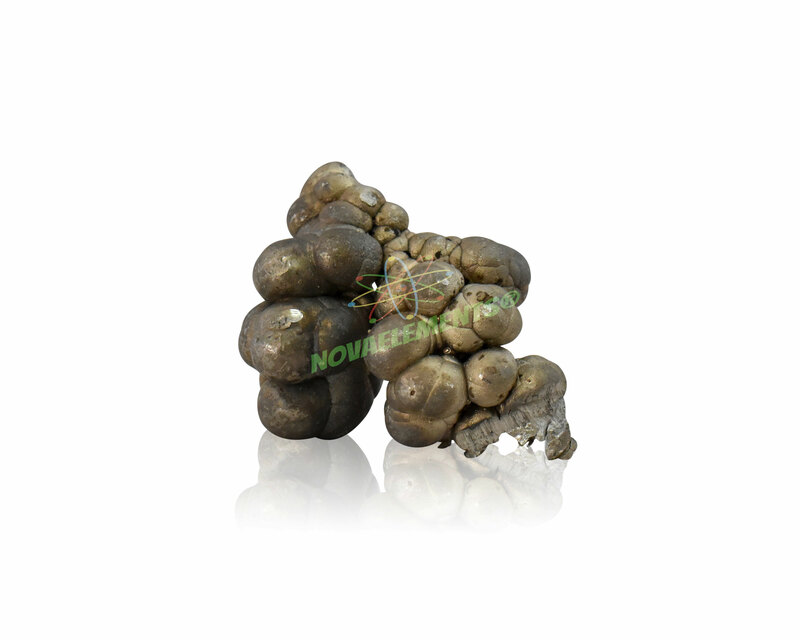 High purity Nickel metal, element 28 sample, one BIG sphere equal or more than 10 grams (chosen casually). 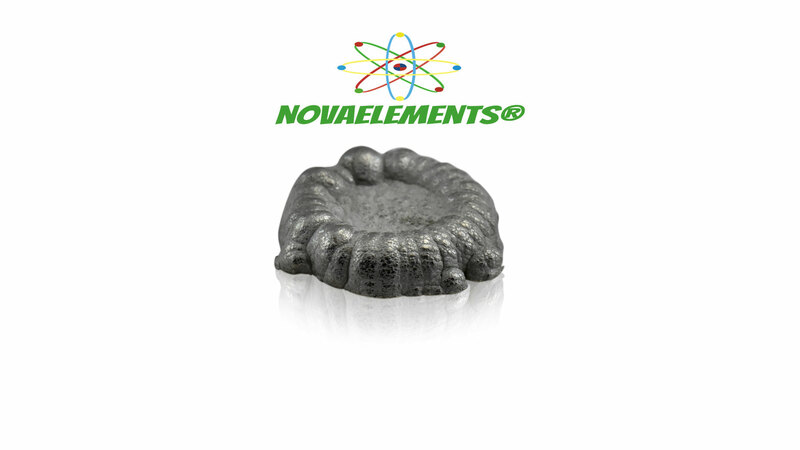 High Purity and really electrolytic Nickel buttons from about 22 grams for each piece in high quality plastic bag ! 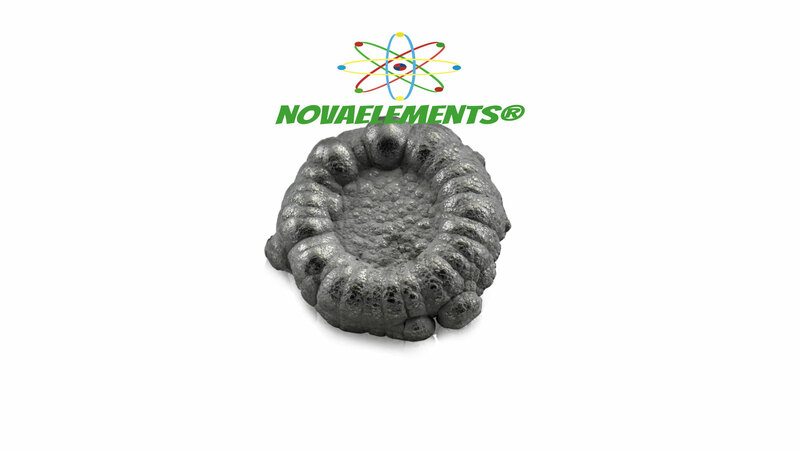 High Purity Nickel metal rod 99.95%, pure element 28 Ni sample.